Rock On NYC Tartan Week 2019! In the Landscape and Culture exhibit of 15 watercolor paintings, artist June Julian celebrates the beautiful islands and classic tartans of the remote Scottish Hebrides. Continuing in the longstanding tradition of archaeology expedition art, the work depicts the dramatic backdrop for two fieldwork seasons on the isles of North Uist and Vallay in the North Atlantic. The smaller paintings are expedition documentations of the landscapes of the Isles of Vallay and North Uist, and the larger works integrate traditional Scottish clan tartans into images of the depopulating ancestral islands. As part of an Explorers Club Expedition Flag Award, the research objective was to record the effects of climate change on endangered coastal archaeology sites there and provide implications for shoreline heritage worldwide. Tartans tell the story of people and places through their distinct colors and patterns. The NYC Tartan painting, also in the exhibit, features the official New York City Tartan and its symbolic elements: bright green for Central Park, aquamarine blue for the rivers, and deep black for to the fallen twin towers. With various media, June Julian creates works that address human and environmental themes of imbalance and regained equilibrium. This work includes fine art studio media, land art, Internet projects and award winning archaeology collaborations. June Julian received her Bachelor’s, Master’s and Doctorate degrees in Art, and studied at Pennsylvania State Universities and New York University. She has been on the faculty of The School of Visual Arts in New York City, Ohio University, and The University of the Arts in Philadelphia, and was the Education Manager of the Rubin Museum of Himalayan Art in New York City. The author of numerous publications in the field of Art and Art Education Technology, she has recently launched Art Intendo™, a creative enterprise for worldwide art collaborations. Her artwork has been shown in many exhibitions in the U.S. and abroad, including Spain, Italy, Greece, Scotland and Korea. She is the recipient of numerous awards and grants and she is included in many international collections. 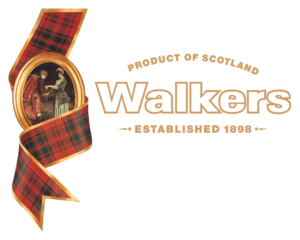 Special thanks to Walkers Shortbread and Santa Fe Spirits for their sponsorship of the artist’s tea-time reception. Wear Something Tartan! Featuring traditional Scottish flute music by Patricia Bradley.